It is a marvelous collection of freshly ripening fruits beautifully wrapped in a cane basket that will enchant the taste of your loved ones. This amazing collection of fruits is a perfect way to depict your joy over any glorious moment of celebration. Send this fantastic fruity treat to your family, friends or relatives on special occasions like Anniversary, Birthday, Christmas, or a random occasion like Thinking of You. 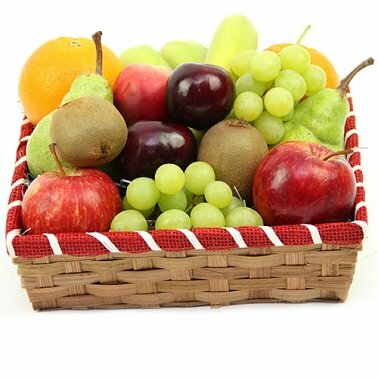 Make an awesome Citrus Punch Fruit Basket Delivery to UK with your personal message card attached.